Dons Casino is just about to make your 2019 a hit. This amazing platform is no place for the uninitiated. Certainly, Dons Casino is a brand with a difference. Firstly, it is coming from the makers of Magik Slots Casino; Cozyno Casio; RIdika and a number of other top brands. This brand new platform from Alpha Interactive sticks with many features of other sister brands. Notably is the license. Dons Casino only has a single master license from the government of Curacao. Well, I guess you already saw that coming. However, there are a number of other cool features that will definitely take you by surprise. Starting with the website design, there is no doubt that it is really beautiful. That blend of black and brown can never be better. Among others, the selection of games; the welcome bonus; the payment options and promotions are all cool. There is hardly any online casino that does not offer a welcome bonus. However, the offer is different. In this case, Dons Casino offers every new player a very generous welcome package. The offer is so big that it had to be over a number of deposits. For the first deposit, here is how the math works. Let’s say you make a deposit of €320, you will receive a massive €800. So, you have as much as €1120 to play your favourite games. Now, that’s one hell of an offer. Well, Dons Casino expects players to be fair. Hence, they have included a minimum playthrough requirement of 20 times. Certainly, this seems like a fair deal. However, if you did deposit as much as €320 to receive a total of €1120, then you must reach the play through mark of €22400 before you can request for any payout. Certainly, that’s a very big one. Even more, it gets a lot worst for players from Greece, Lebanon and the UK. They have to wager as much as 40 times. The good part is that you can actually decide not to receive the welcome bonus. The welcome bonus is great. As a new player, you only get to enjoy this bonus once. 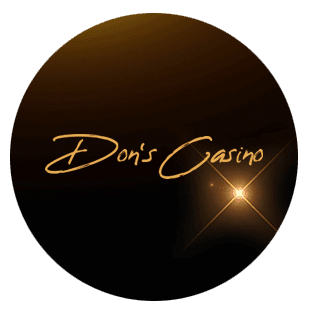 However, Dons Casino offers every player the chance to receive continuous rewards. Hence, as long as you continue to play at Dons Casino, they will continue to reward you. Even more, the rewards get better as you progress. At present, Dons Casino has four levels in the VIP club as follows Silver, Gold, Platinum and Black. Each step has its requirements. Likewise, Dons Casino has special rewards for each level. So, as you play your part, Dons Casino also ensures that your efforts are duly rewarded. That being said, they put together a catalogue of games that includes slots; card & Table Games; Live Casino games and many more. Another great brand that have a superb selection of games is 14 Red. It is very easy to make a deposit at Dons Casino. Just visit the cashier section and you will find a list of several payment methods. So far, Dons Casino offers a lot of options. This method can also be used to make withdrawals. As well, the speed of payout depends on a number of factors that also includes the payment method. However, it gets better as you become a VIP member. Whenever you need to get in touch, Dons Casino is always available. Whether via live chat; telephone or email, the support team is responsive and courteous. In the end, Dons Casino has all the good features that would make your gaming experience fun. They have a selection of games from multiple developers that will most likely include your favorite names. These games are available on mobile devices. Also, the welcome bonus is pretty cool. However, be wary of the play through terms as well. 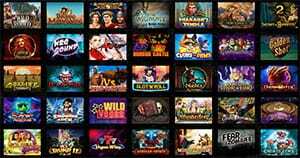 Find all of the new brands at Best Casino Sites 2019.